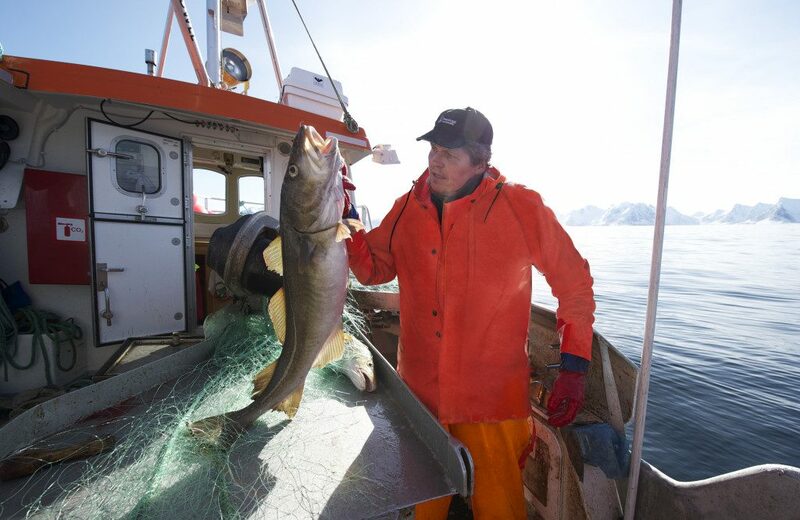 Michelin-starred chefs in the UK are choosing Norwegian fish – not just for quality but also for its sustainable production. As both the world’s population and competition for natural resources grow, the demand and importance of seafood has never been greater. After decades of poorly managed fisheries, the environmental pressures on the world’s waters are critical. According to a report by the UN Food and Agriculture Organisation (FAO), the world share of commercial fish stocks at sustainable levels has drastically decreased – down to 68.6% in 2013 from 90% in 1974. Furthermore, in 2013 fully-fished stocks comprised 58.1%. Europe has suffered its share of problems. Herring was so overfished on England’s east coast that a moratorium was announced in the 1970s. Now even the fish for the famed Craster-kipper in Northumberland are imported from Norway. Norway is a nation famed for its seafood and fisheries, with an extensive coastline, and plentiful fjords and lakes. It is the leading supplier of seafood in Europe and the second largest exporter in the world, supplying 140 countries. Management of its natural resources is massively important. Sustainable oceans and the “blue economy” are one of the Norwegian government’s priorities and large amounts of money is being poured into research and fishery management. “Providing enough food for a growing population is one of the most challenging questions in our time. The oceans can feed us to a greater extent than they do today and blue growth is the key to a sustainable future,” says Ingrid Dåsnes, Head of Communications for Norway’s Ministry of Trade, Industry and Fisheries. The problems of the past now inform today’s decisions. “As with many other fisheries, we learned our lessons in the 60s and 70s,” Jack-Robert Møller, UK director of the Norwegian Seafood Council, says. He cites the fishing industry’s increased efficiency in the middle of the last century as a key point. This made herring, for example, a very effective catch. However, the stock had collapsed by 1970. “That led to a lot of difficulties for other species. All the different species live upon each other; herring, cod, haddock, prawns are part of a big eco-system and you need to manage them all together,” Møller says. Cod, too, suffered similar problems, peaking in the late 1980s. Heavy restrictions were placed on the total allowable catch of cod – this had a huge effect on many fishing-dependent communities, where unemployment rose drastically. 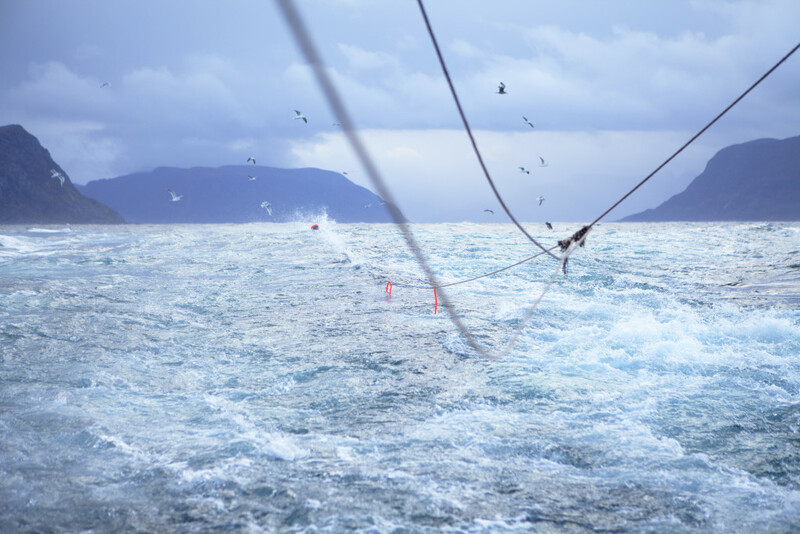 Partly due to this decisive action, the problem was only short-term and the cod stock in the Barents Sea had returned to healthy levels within a few years. Just as technological advances helped fishing productivity, technology and extensive research is now aiding Norway to manage its fisheries and aquaculture. Much of this has been in helping more effectively monitor and register what is caught, including the bycatch. Heavy fines await transgressors. Discards – the portion of a catch that is not retained on board – have been banned since 1987, something that is only now being phased in in the European Union. The Norwegian government spends tens of millions of dollars on fishery research and recently announced 4.7mUSD to fight fishery crime. This has meant that industry has had to adapt, Møller says. The battle for sustainability is not only being fought in the fisheries but also in aquaculture. Aquaculture has grown worldwide as an effective response to the demand for food and now provides half of all fish for human consumption. Norway’s production has massively increased (up from 0.68m tons in 2004 to 1.33m tons in 2014) and income has overtaken that of wild fishery. This trend will continue, according to Dåsnes. “The amount of wild fish is limited, and the resources are by no means sufficient to meet the demand for food. 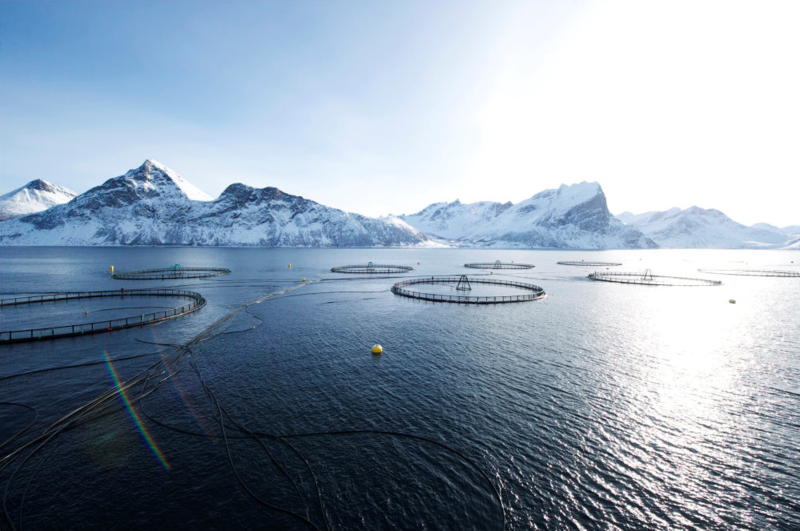 Norway aims to produce more food from aquaculture. The potential for growth in Norway is considered by scientists to be fivefold within the next 30 years,” she says. But aquaculture too needs careful management and comes with many challenges. “You need to treat the fish well. You need to have long-sustainable resources for the fish feed. You need to think of animal welfare. ‘Sustainable’ is a buzz-word that everyone is using but it is important to understand what is behind the word,” says Jack-Robert Møller. When it comes to fish farmed in Norway, salmon is by far the market leader. Approximately 1.2m tons of it are farmed annually. Behind that is the lesser-known and perhaps under-appreciated fjord trout. A red fish like salmon, it is farmed in the cold, clear fjords; where seawater meets melted glacier water. Daniel Galmiche is one of the top UK-based chefs who are now cooking with this underused fish. One of the main reasons why he does is its sustainability – a huge part of the Michelin-starred Frenchman’s personal and professional ethos. “I was brought up in a small holding and our farm was sustainable. It was all done by hand, everything. Chefs know that if we’re not careful that we won’t have anything to cook with,” he says. “I tend to use always fish which is sustainable and always fish which not necessarily people have used before. I make sure it all comes from the right source, it’s all done with care and everything because I want my family, my children, my son’s children to be able to eat properly in 20 or 50 years’ time,” he adds. Having visited the fjord trout farms, Galmiche has been impressed at the practices and attention to detail. “I’ve been lucky to be able to see all of it. The process from the egg to the fish it takes three years. It’s slow growth and highly sustainable. That’s the reason I love the produce. What they feed the fish, they have studied exactly what they eat in the wild. So, what they are giving to the fish is completely their natural diet,” he says. Yet, all this doesn’t count for much if the fish isn’t great on the plate and people won’t eat it; a concern for any chef. Galmiche – and the Japanese, who have been using it in sashimi for years – is convinced of its delicate qualities, different to the earthy flavour of other trout types. 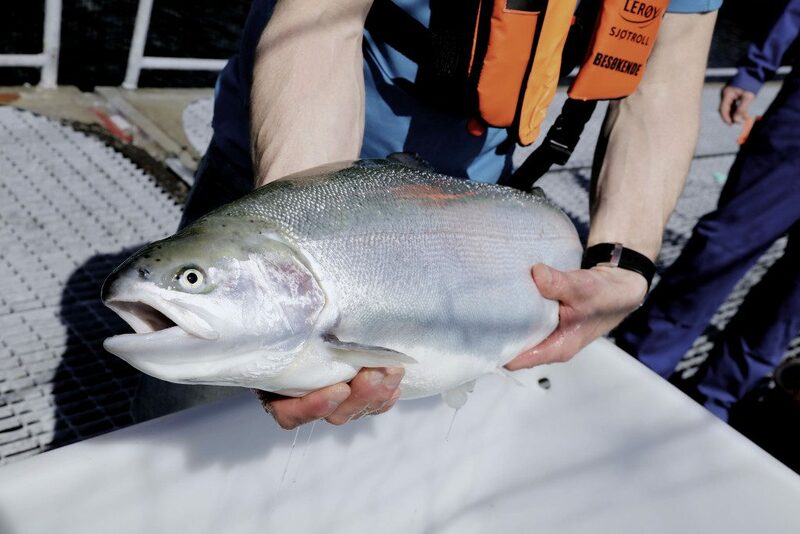 “The fjord trout needs to come first because it’s so delicate,” he says. “You need to guess almost what you need. It is really nutty and delicate and the flesh is a little bit different. It’s a beautiful fish,” he adds. In the near future, we will see even more rules informed by research, Dåsnes says. Sustainability will be at the centre of this – the challenge of a growing population and the ability to feed them is in many ways the bottom line. “To bring more fish to the food tables of the world, we have to implement better fisheries management and increase aquaculture production. These days, Norway is developing a brand-new system that allows us to regulate the industry according to the limits of nature,” she says. Norwegian-farmed fjord trout is available at selected Tesco stores in the UK with year-round availability. 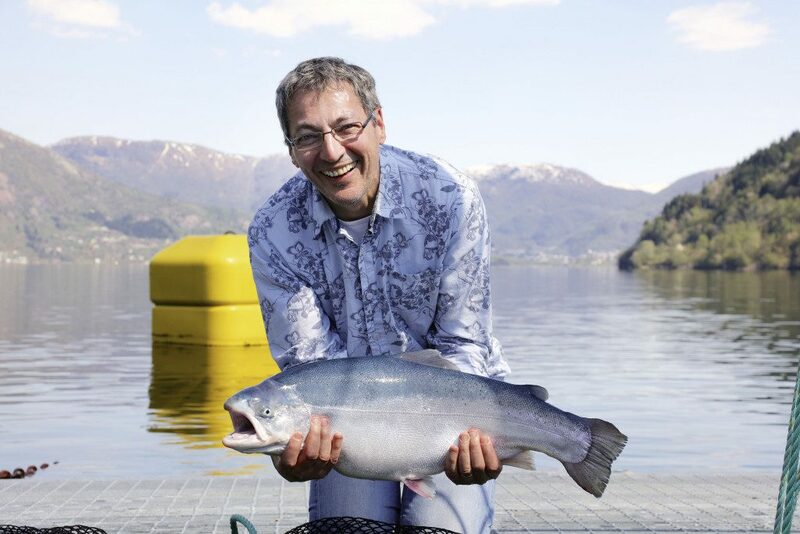 Daniel Galmiche is an ambassador for the Norwegian Seafood Council.